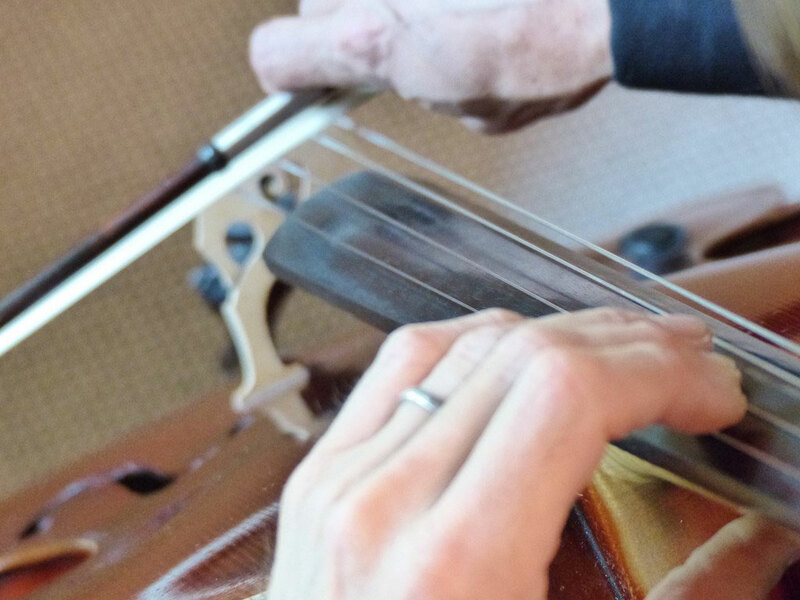 Jim Shelley has been a cellist with the Oklahoma City Philharmonic for over 25 years. He regularly performs with Go for Baroque, a chamber music ensemble. On Sundays, his cello music can be heard in Oklahoma City’s Crossing Community Church Chapel. He holds a Bachelor of Music Performance and a Masters of Music Education from the University of Central Oklahoma where he was named “Outstanding Student” both as an undergraduate and graduate musician. His flexibility and versatility, combined with his congenial personality, make Jim a very busy performing musician. Shelley has performed with the Edmond Quartet, Oklahoma Strings, Mid-America String Quartet and Celestial Strings. He is happy to be a part of “Music from Greer,” a chamber music festival held in Greer, Arizona. After teaching orchestra for 18 years, Shelley left Alcott Middle School to pursue another artistic passion - fused glass. He now balances his time between creating glass art and performing music. His creations are carried in several galleries and boutiques, and he travels regionally to art festivals with his wife, Melanie. His work can be seen at www.jasworx.com. Shelley also enjoys singing, song writing, and playing the guitar with the rock bands Endangered Species and Starcruisers. Jim’s hobbies include gardening, cycling and disc golf.